The WTO has issued a call for young economists to submit papers for the 2019 WTO Essay Award. The award aims to promote high-quality research on trade policy and international trade co-operation and to reinforce the relationship between the WTO and the academic community. The paper must address issues related to trade policy and international trade co-operation. The author(s) of the paper must possess or be engaged in the completion of a PhD degree and, if over 30 years of age, be no more than two years past a PhD defense. In the case of co-authored papers, this requirement shall apply to all authors. In addition, to be considered for the award, essays cannot exceed 15,000 words. 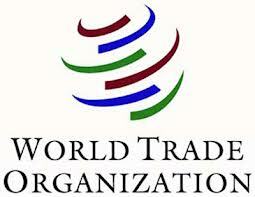 The annual WTO Essay Award provides a prize of CHF 5,000 to the author(s) of the winning essay. In the case of a co-authored paper, the prize will be equally divided among the authors. The winning paper will be officially announced at the annual meeting of the European Trade Study Group (ETSG), which is the largest conference specializing in international trade. The award ceremony will take place in September 2019 in Bern, Switzerland. The winning author will receive funding to attend the meeting. Dr Robert Koopman (Director, Economic Research and Statistics Division, WTO Secretariat) is ex officio member of the panel. Dr Roberta Piermartini (Chief, Trade Cost Analysis Section, WTO) coordinates the work of the selection panel. Essays must be submitted by 31 May 2019. The Economic Research and Statistics Division of the WTO Secretariat will shortlist eligible papers by 14 June 2019 and the selection panel will take a final decision by 10 July 2019. Only the author(s) of short-listed essays will be notified.